Imagine this: You had an exhausting day at school and you can’t wait to get home and rest. On your way home, the weather was unpredictable and the pollution in the streets was horrible. As you enter your room, you realize that it is not as spotless as you hoped it was. You come in to the kitchen to find good food, but you find nothing on the dining table. You had a draining day and the last thing you would want to do is take care of the household chores. As you let out a weary sigh, you realize that your home appliances can take care of all these. You see the MAB cleaner scanning your house and deploying its flying mini-robots to the areas in need of cleaning. Meanwhile, an Atonium 3D Food Printer has determined your nutritional needs and is working on a healthy meal for you. At the same time, the Breathing Wall started to purify the air while recreating an environment that will help you relive a happy memory. Imagine this futuristic scenario made possible by you. This advanced home is the brainchild of the top three winners at last year’s Electrolux Design Lab competition. This year, Electrolux, a global leader in household appliances, partnered with the University of the Philippines-Diliman, De La Salle-College of St. Benilde, and University of the East-Caloocan to give design students a chance to create a thoughtful, modern home for the rest of the world to enjoy. Design students around the globe are invited to submit innovative ideas for the future household for a chance to win € 5,000 and a six-month paid internship at an Electrolux Global Design Center. On its 12th year, Electrolux Design Lab continues to pave the way for future visions of urban household lifestyles, with the theme Creating Healthy Homes. The competition seeks ideas for products, accessories, consumables and services for three focus areas: Culinary Enjoyment, Fabric Care and Air Purification. 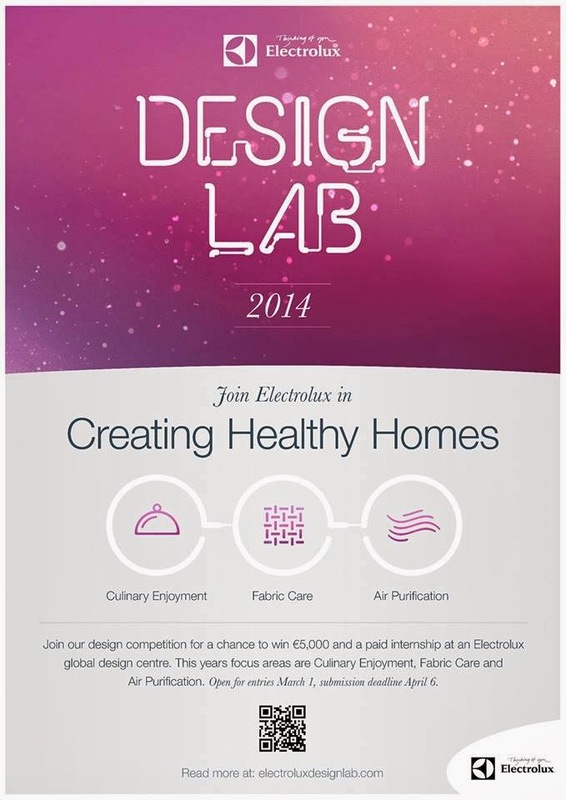 Through the Design Lab competition, Electrolux sees a creative and sustainable future that projects a healthy well-being and pleasant environment for everyone to live in. All Filipino Design students are welcome to join. To enter the competition, participants should submit the following: (1) a brief of their concept; (2) a visual sketch illustrating their concept; and (3) a description of the consumer benefits. Submission of entries is from March 1 to April 6, 2014. To know more about last year’s winning entries and the details of the competition, visit www.electroluxdesignlab.com.